Saltwater corrosion is a major problem for any equipment being used at sea. No matter how waterproof the equipment is, without correct maintenance, corrosion will eventually cause loss of performance and further issues. 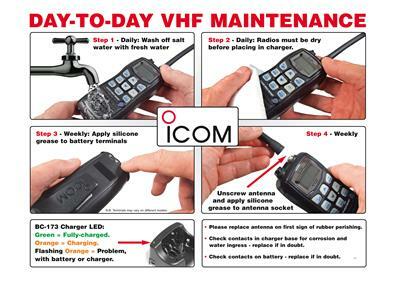 Icom UK has put together a step-by-step guide on how to help prevent salt water corrosion on your Icom VHF handheld and how to keep it in top condition. Whether you are a water sports enthusiast, a sailing club or anything to do with marine radio use, this helpful guide can help prolong the life of your radio and cut down on repair costs. This handy guide is available to download via the link below you can print it off for personal or professional use.